Last month our own Jennifer Davidson taught a CEU class on Beginning Social Media for Design Pros - thank you to everyone who attended, asked great questions and gave positive feedback afterward! 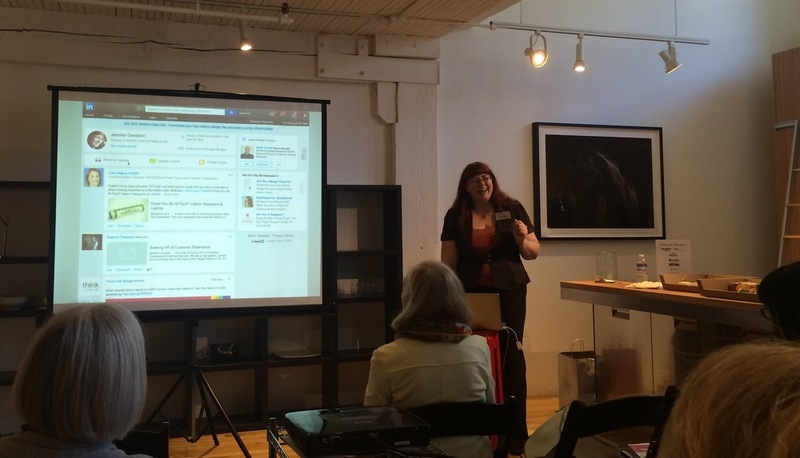 Designers learned the major social media platforms and how to pick the right ones for your interior design business. They also heard about best practices for setting up and maintaining accounts, and how to find and create content. All this in a single hour - whew! On Twitter, use Website Cards powered through your Twitter Ads account to drive interaction. On Pinterest, their handy downloadable PDF guide shows you how to make pins worth sharing. On Facebook, they are crossing social media boundaries to teach making great videos - use video on FB, YouTube, and now on Twitter too! On Buffer, Pablo will help you create custom graphics with words in seconds that you can post to Pinterest, Facebook, Twitter, anywhere you need!